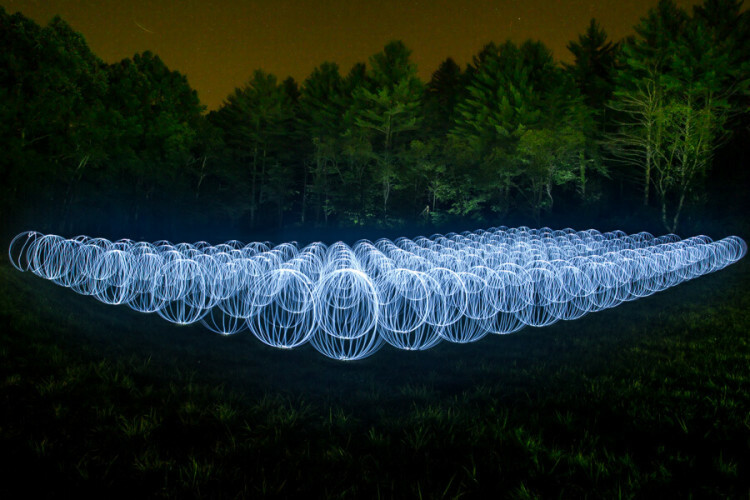 On July 19, 2014, a team of light painters from East Coast Light Painting created a long-exposure photograph of 200 glowing orbs in a field in Virginia. 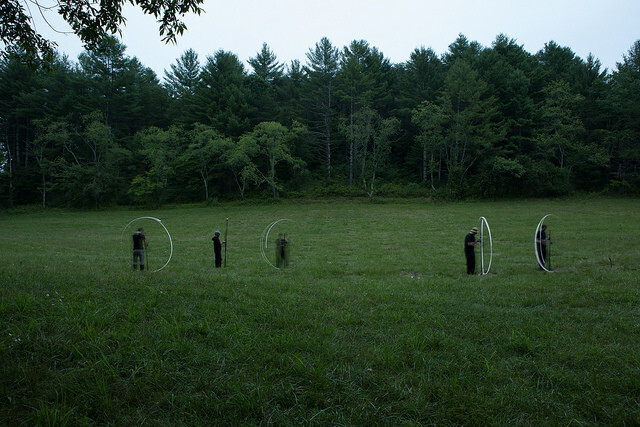 To create the orbs, the group collaboratively developed a spinning light tool. During the 1,651-second exposure, the team fanned out to create each of the 7-foot-diameter orbs. 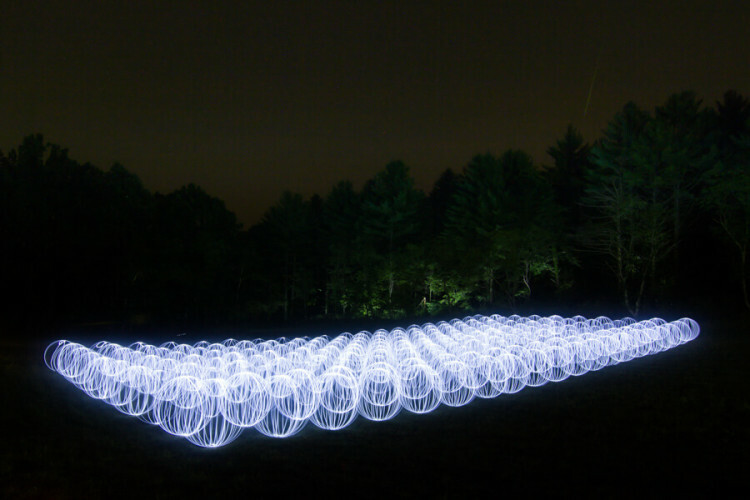 The light painters were inspired by a 2011 photograph in which photographer Andrew Wells created a long-exposure image with 100 orbs. According to the group, their 2014 photograph has earned a Guinness World Record.